The Labour Campaign for International Development has received more Parliamentary support, this time from Tom Clarke MP. 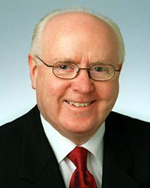 A veteran of International Development discourse, Tom Clarke is a member of the All Party Group on Overseas Development (APGOOD) and introduced the International Development (Reporting and Transparency) Bill in the House of Commons. To see more support from Labour MPs for LCID, click here.